Muse will premiere “Mercy” on BBC Radio 1 tonight (18 May) at 7pm BST! The lyric video will be released at 7:25pm BST. The previously released two songs “Dead Inside" and “Psycho” began the story of Drones, which is released on 8 June. On 13 June, the band headline at Download, the UK's biggest rock festival, their debut performance at the event. 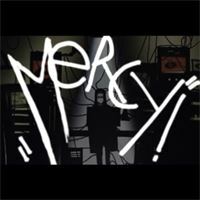 Muse will premiere “Mercy” on BBC Radio 1 tonight at 7pm!